e-Scapes Photography’sTM fine art images can be purchased via credit card or cash directly from us by calling (519) 324-6691. We plan to have on-line purchasing available in the near future. If you would like to see the work first hand, prior to making a purchase, we’d be happy to set up an appointment to meet with you. Please be sure to leave a message if we don’t answer. We will get back to you as soon as we can. In addition, please check our Events & Shows page regularly to see if we’ll be in your area in the near future. Last, but not least, the following retail locations have a selection of e-Scapes Photography’sTM products. Follow links to their webpages for hours, locations and directions. The Guelph location of Wild Birds Unlimited (http://guelph.wbu.com/) now carries a wide selection of e-Scapes Photography’sTM critterscapes and plantscapes greeting cards. Be sure to pick up a card when you buy a gift for that bird lover in your life. dsofpointpelee.com/default), now has a selection of 40 e-Scapes Photography’TM greeting cards as well as 8×10, 11×14 and 13×19 prints . Their selection includes some of Pelee’s most colourful migrants and wildflowers. Open May through Canadian Thanksgiving weekend. Be sure to visit the Friends Bookstore, operated by the Friends of Rondeau (http://www.rondeauprovincialpark.ca/), at the Rondeau Provincial Park Visitor Centre for a selection of e-Scapes Photography’sTM greeting cards. See some of our most beautiful local butterflies and dragonflies! They are open seasonally, so please check their website for open days and hours. The Leamington Arts Centre (http://www.leamingtonartscentre.com), at 72 Talbot Street West, has a selection of gallery-wrapped canvas ready to hang, as well as 8″ x 10″, 11″ x 14″ and 13″ x 19″ prints and a selection of 40 e-Scapes Photography’sTM greeting cards. Find frosty and icy winter-time scenes as well as many other local scenes and wildlife. 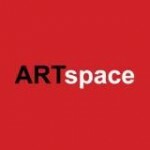 e-Scapes PhotographyTM is a member of ARTspace (http://www.artspacechathamkent.com), located at 165 1/2 King Street West, Chatham. At least one item gallery-wrapped canvas fine art image will be on display each month and others will be in the “stacks” against the walls. All will be for sale. Gallery hours are Tuesday to Saturday from 12 – 5 pm. Dr. Sean Smith is a chiropractor located in Unit 302 – 197 Talbot Street West in the Leamington Medical Centre buildings. His patients may view e-Scapes PhotographyTM fine art images on canvas in his waiting room. Visit Pelee Wings Nature Store (http://www.peleewings.ca) for some e-Scapes Photography fine art Giclee prints. Open April through December.